This entry was posted on Sunday, December 29th, 2013 at 2:45 pm and is filed under Uncategorized. You can follow any responses to this entry through the RSS 2.0 feed. You can leave a response, or trackback from your own site. Kelly Young and associates presented 2 abstracts. Your readers may find this to be of interest: “The RPF is the first and only organization with the sole purpose of benefitting people with RA. We endeavor to clearly represent the needs of RA patients and to advance their cause. The RPF has designated Feb 2nd as Rheumatoid Awareness Day, and invites all with interest in Rheumatoid Disease to visit http://rheum4us.org and find ways to to join RPF in finding ways to increase awareness of Rheumatoid Disease. Yes indeed. Both Kelly as well as RPF have been doing a wonderful job. My wife suffers from RA. She was diagnosed three years back. Till then it was considered as only osteo arthritis and nothing else as her RA test was always negative. It was a long journey of pains and sufferings of many years before diagnosis of RA. It was the internet indeed which helped me to know about RA and subsequently to find the rheumatologist in my city itself. The rest is history. Got proper treatment and got relief within next 3/4 weeks. But our education about RA started thereafter. 3. The treatment has to be taken life long, in order to keep the RA at bay. Although the medication was continued, occasionally there were flare up of RA attack.In such situation we had to depend on the wisdom of family physician, who normally prescribed anti inflammatory drugs which did not help. Hence the matter was discussed with our rheumatologist (DR.Akerkar) , upon which he laid out a detailed emergency action plan and the situation in which it was to be adopted under intimation to him for approval. He gave his personal number and also advised to send sms on the number or in very emergency call him directly. he further advised to visit his website “arthritissuppoartboard.com” and read all the material and his blogs, where all the necessary information about RA , its treatment, and other issues arising out of and related to RA is given. I went through all the material in the website and the blogs. Everything was written in a very simple language, which can be understood by a layman. This enhanced my knowledge about RA. I understood that even though and in spite of the medication there would be flare-ups occasionally, may be due to certain foods, change in weather, habits etc and so on. And that determining the cause and avoidance of it has to be entirely left to the patient ,as there was no such universal observation or law which could pin point to the cause of flare-up as every patient’s constitution was different than other. As we had the emergency action plan at hand and found very useful on implementation, we thought it would be worthwhile to try different kind of food which may either trigger flare-up or help in containing flare-up. 1. Spicy food – at our age-she is 66 and I am 67- spicy food are not easily digestible and have caused indigestion many times before and it may quite likely that it might have been the cause in the increase in RA activity. Hence we decided to avoid spicy food completely. 2. Green vegetables—It is well known that in addition to provide nutrition, green vegetables are easy to digest, and as they contain more fiber, they help in elimination. Hence we included enough green vegetable, salads in our diet. 3. It was given to understand by many to avoid lemon, oranges pineapples and such other fruit of sour taste , as the sour food leads to increase in the activity of arthritis. We decided to include them in our diet in order to verify this conception. If flare-up, swelling occurs on account of including in our diet we should discontinue their use. So far item no 3 in our experiment was a risky gamble, we decided to risk it. 2. Her health considerably improved. 3. She is more active happy and cheerful and is definitely looks healthy. 4. Wakes up early in the morning in a cheerful mood. The period of observation is short and it cannot be said at this stage if the RA has gone in remission because of change in food but noticeable improvement in health is certainly welcome. We shall continue with this kind of diet for a longer period. During the last 3 years we have also noted that routine blood tests and eye checkup, there is no adverse effect of the DMARD treatment on her health parameters, eyesight etc. So our old view that allopathic medicines have very adverse effect on health proved to be a misconception. Our experimentation about life style, food habits , daily medication, consulting with rheumatologist and reading and updating our knowledge about RA will continue. It may be a tight rope walk or constant jugglery. But for us it is a way of life, giving us a good result so far. What is important is that my wife is enjoying a near normal life , that is all what matters to me. Thank you Dr. Akerkar for helping my wife to lead a near normal life. Thank you so much for bringing this study to us. I read through it, and I did indeed identify my own actions in coping with RA with those of the patients involved in the study. My only surprise was that you found the results of the study “startling.” Your care for and empathy toward your RA patients is clear as I read your blog. Why were you startled at the results of the study? I found the results startling as they really give one a different insight into the life of a #rheum patient. 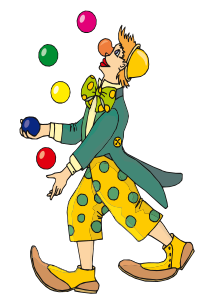 In fact, one of the #rheum mates also commented that ‘a balancing act’ is a much better term than ‘a juggling act’ to describe what one has to manage. Hats off to all of you for managing your life despite the odds posed by #rheum diseases. My 9yr old daughter was diagnosed with MCTD when she was 6yrs. We live in New Zealand, and it seems that only a handful of kids have this disease here, which our girl is the youngest by quite a few years. We have tried long term steroids, hydroxychloroquine, azathioprine, nifidepine (for her Raynauds), 4 infusions of IV methypred and currently on PO methotrexate. I mention this as back in 2010 Dr Akerkar mentioned the “pain side effect” to methotrexate. I can’t find any professional advise for this and I am desperate to gather as much information to take to our Rheumatologist tomorrow. My daughter has been on methotrexate for 2 months, the first month the side effects were minimal, with only a slight increase in her usual symptoms (?? due to coming off her azathioprine), slight nausea and fatigue. BUT the last 4 doses has seen her bedridden and crippled with an overwhelming increase to her arthritis in what seems all her joints, increase in her muscle pain and weakness for the first 36 hours. It seems nothing helps bring her pain down. Sevredol, codiene and her usual panadol and brufen does not drop her pain. The doctors now want to try IV ketamine with each dose. I want to STOP this insane medication, as what is the point of taking a drug that is meant to modify the disease but only increases the symptoms to the extreme for the first 2 days, with the third day spent sleeping to recover??? Do children respond differently to this disease? I feel the doctors are now not believing her pain is as severe as she states. This is VERY FRUSTRATING, as she is very tough child with an extremely high pain threshold and an amazing drive to be “normal”! Please HELP me to help her!! Methotrexate does increase the pain in a very few patients. this generally happens for 1-2 days after taking the dose. Though literature does not mention much about it, we do come across it. If it is severe, ther is no option but to stop it. Dear Dr. my friend is suffering from AS more than 7 years.Currently she is taking indmethaCINE 25 MG every day.She had done endoscopy She have h pylori and some small erosion in inside her body Dr Said It is only bz of NSAID.Should take pantaparazole 40 mg before food for adverse affect NSAID.She consulted to RHemy. IF you want to live completely pain free . he Said the totally pain will go after six month taking Enteracept (bio inj. )She have to take 10 -12 inj. for two weeks interval .Does it really true. She want to live pain free life. I know it is uncurable dis. Does bio inj really help.She is from H.p. Biologics (anti TNF agengts) are useful medications in management of Ankylosing spondylitis. We do have etanercept (Enbrel- Pfizer, Etacept- Cipla) & Infliximab (Remicade- J&J) available in India. We also have Golimumab (Symponi- J&J) in India now. However, it is not yet approved for Ankylosing Spondylitis by Indian FDA. Etanercept is taken once a week & can be taken at home/ OPD basis. Infliximab requires admission & is taken at day 1, day 15, day 45. Subsequent doses are taken at 2-3 months interval. Both these injections are taken indefinitely to control the inflammation associated with Ankylosing Spondylitis. However, due to financial reasons, we do tend to use it for shorter duration in India. Both the medications are useful (best medications available as of now) & do help control the inflammation. However, at the same time, do not keep a definite time/ dose frame (eg. 3 months, 10 injections) in mind while starting these. They may be required in the long run to control the inflammation. 1) Individual cost of the 3 injections. This can help you choose between the three. 2) Patient assistance programmes from the respective Pharma companies. this can reduce the cost of injections. 3) Cost considerations if you have to take it in the long run. I hope I have cleared your doubts & helped you make an informed choice.